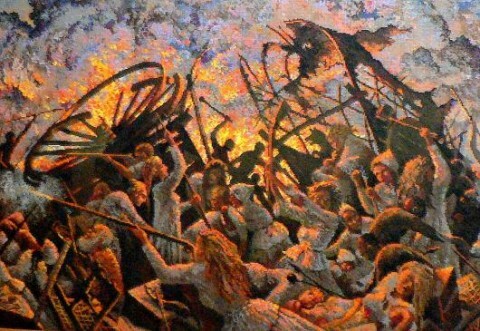 The Battle of Blood River , Afrikaans: Slag van Bloedrivier; Zulu: iMpi yaseNcome is the name given for the battle fought between 470 Voortrekkers led by Andries Pretorius, and an estimated 10,000–15,000 Zulu attackers on the bank of the Ncome River on 16 December 1838, in what is today KwaZulu-Natal, South Africa. Casualties amounted to three thousand of king Dingane's soldiers dead, including two Zulu princes competing with prince Mpande for the Zulu throne. 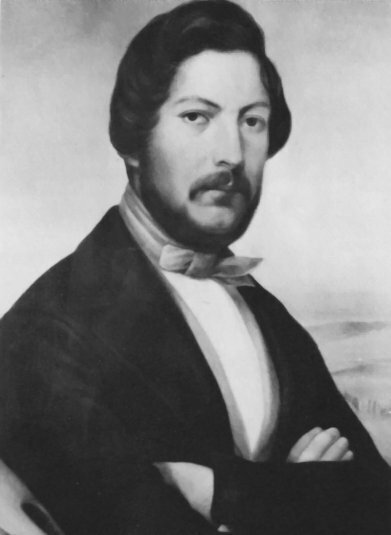 Three Trekker commando members were lightly wounded, including Pretorius himself. 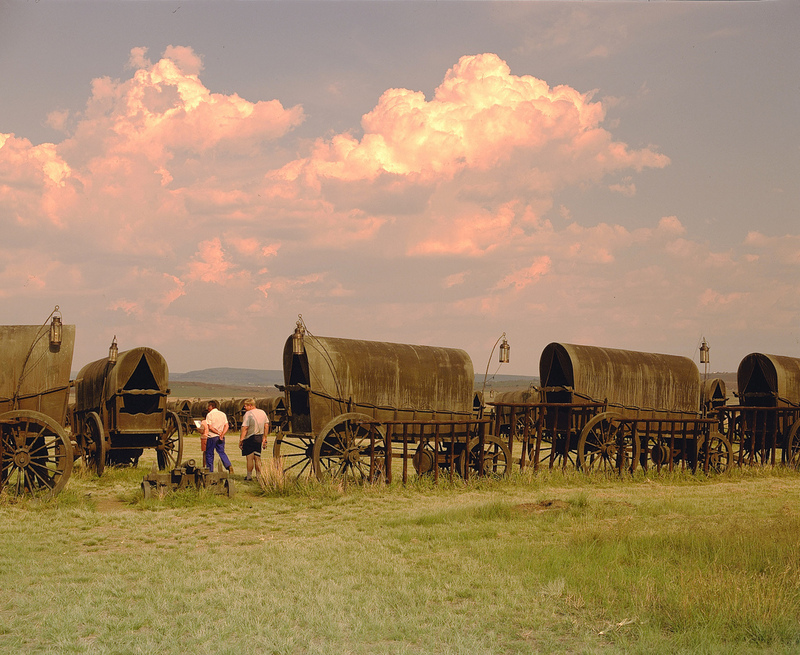 The Trekkers called Voortrekkers after 1880 decided to dethrone Zulu chief Dingane kaSenzangakhona after the betrayal murder of chief Trekker leader Piet Retief, his entire entourage, and some of their women and children living in temporary wagon encampments during 1838.On 6 February 1838, two days after the signing of a negotiated land settlement deal between Retief and Dingane at UmGungundlovu, which included Trekker access to Port Natal in which Britain had imperial interest, Dingane invited Retief and his party into his royal residence for a beer-drinking farewell. 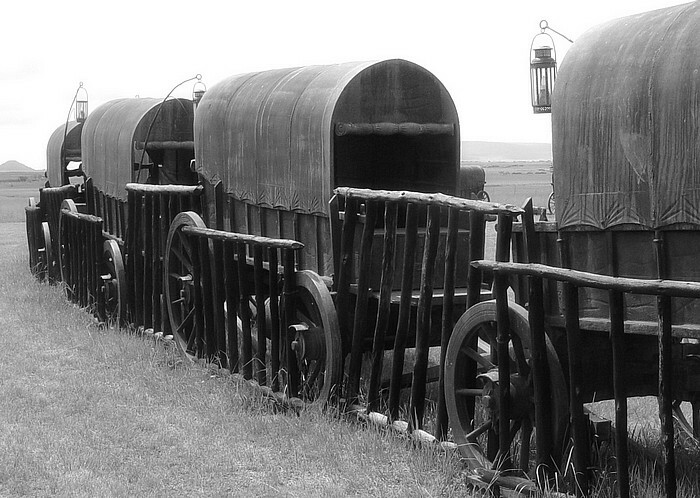 Immediately after the UmGungundlovu massacre, Dingane sent out his impis regiments to attack several Trekker encampments at night time, killing an estimated 500 men, women, children, and servants, most notably at Blaukraans.Help arrived from farmers in the Cape Colony, and the Trekkers in Natal subsequently requested the pro-independence Andries Pretorius to leave the Cape Colony, in order to dethrone chief Dingane.After the Battle of Blood River, the Dingane-Retief treaty was found on Retief's bodily remains, providing a driving force for an overt alliance against Dingane between Zulu prince Mpande and Pretorius. 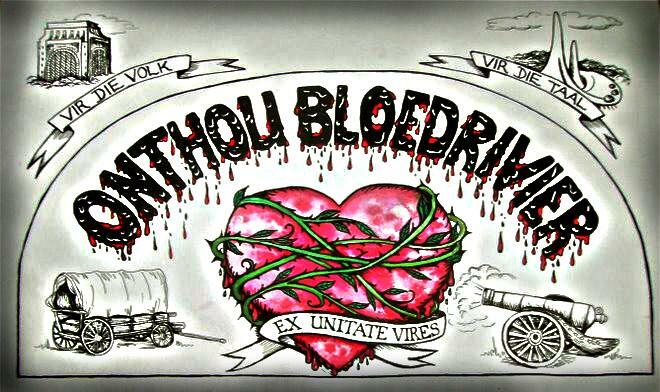 On 26 November 1838, Andries Pretorius was appointed as general of a wagon commando directed against Dingane at UmGungundlovu, which means "the secret conclave of the elephant". By December 1838, Zulu prince Mpande and 17,000 followers had already fled from Dingane, who was seeking to assassinate Mpande. In support of prince Mpande as Dingane's replacement, Pretorius' strategy was to target Dingane only. To allow prince Mpande to oust king Dingane through military might, Pretorius had first to weaken Dingane's personal military power base in UmGungundlovu. 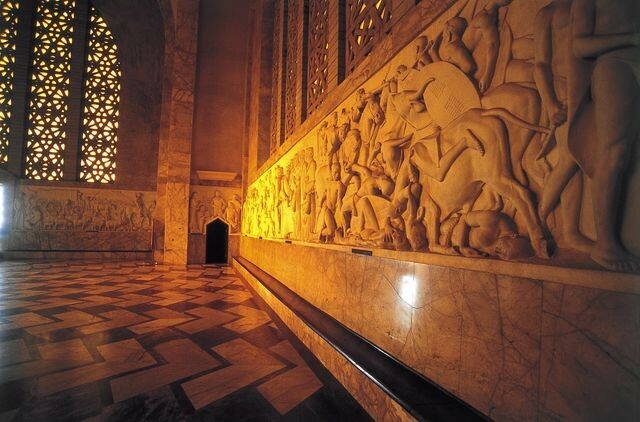 Dingane's royal residence at UmGungundlovu was naturally protected against attack by hilly and rocky terrain all around, as well as an access route via Italeni passing through a narrow gorge called a defile. 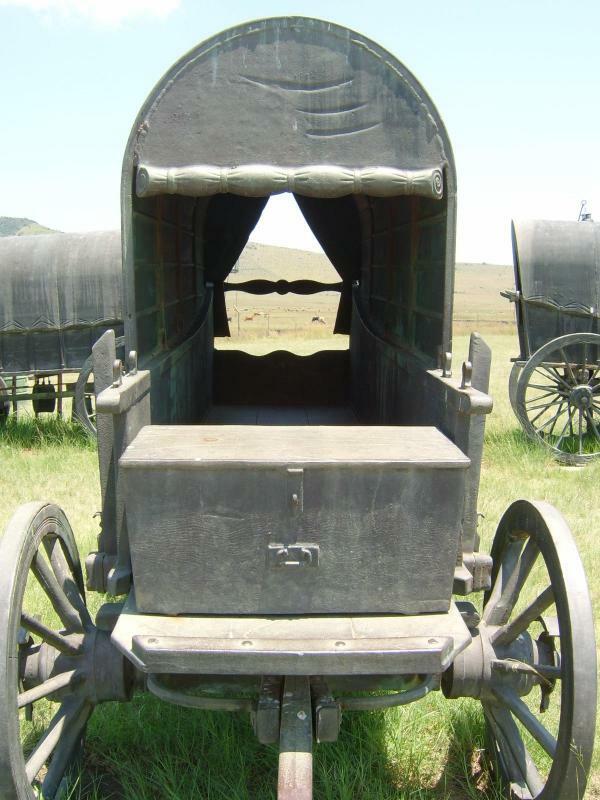 Earlier on 9 April 1838, a Trekker horse commando without ox wagons, thereafter called the "Flight Commando", had unsuccessfully attempted to penetrate the UmGungundlovu defence at nearby Italeni, resulting in the loss of several Trekker lives. 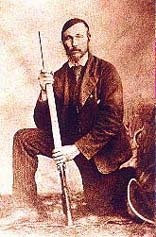 Trekker leader Hendrik Potgieter had abandoned all hope of engaging Dingane in UmGungundlovu after losing the battle of Italeni, and subsequently had migrated with his group out of Natal. 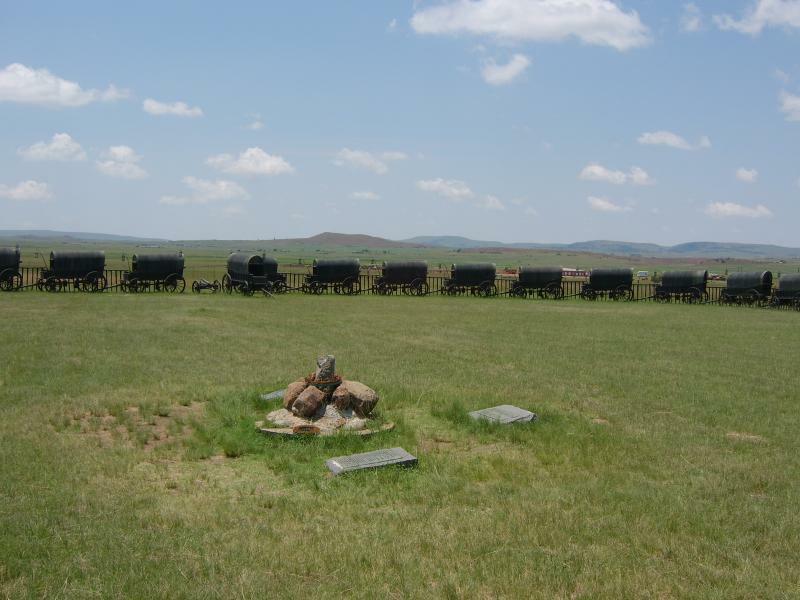 To approach UmGungundlovu via the Italeni defile with ox wagons would force the wagons into an open column, instead of an enclosed laager as successfully employed defensively at Veglaer on 12 August 1838. The military commander during Dingane's attack on Veglaer, was Ndlela kaSompisi. The highly experienced general Ndlela had served under Shaka, and was also prime minister and chief advisor under Dingane. 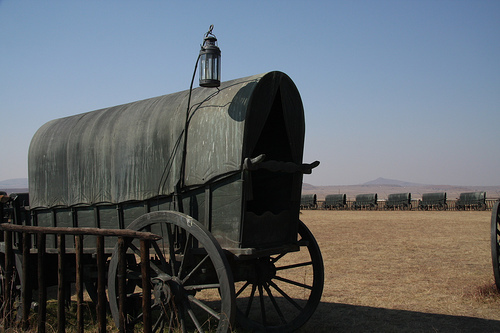 Ndlela with his 10,000 troops had retreated from Veglaer, after three days and nights of fruitless attempts to penetrate the enclosed Trekker wagon laager.General Ndlela personally protected prince Mpande whom Pretorius later crowned as Zulu king in 1840 from Dingane's repeated assassination plans. King Dingane desired to have his half brother Mpande, the only prince with children, eliminated as a threat to his throne. Prince Mpande was married to Msukilethe, a daughter of general Ndlela. 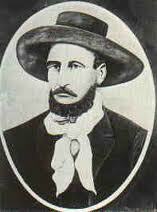 General Ndlela, like Pretorius the promotor of prince Mpande, was responsible for Dingane's UmGungundlovu defence during the Trekkers' second attack attempt under Pretorius in December 1838.Given general Ndlela's previous defence and attack experience at Italeni and Veglaer during April 1838 and August 1838 respectively, Ndlela's tactical options were limited. Proven UmGungundlovu defence tactics were to attack Trekker commandos in the rocky and hilly terrain on the narrowing access route at Italeni, thereby neutralising the advantages mounted riflemen had over spear-carrying foot soldiers. 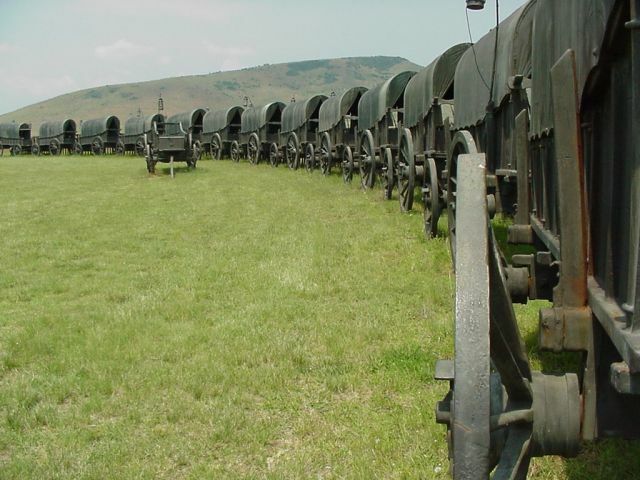 Ndlela had to let Pretorius come close to UmGungundlovu at Italeni, and lure the Trekkers into attack.Ndlela was not to attack the Trekkers when they were in a defensive wagon laager position, especially not during the day. 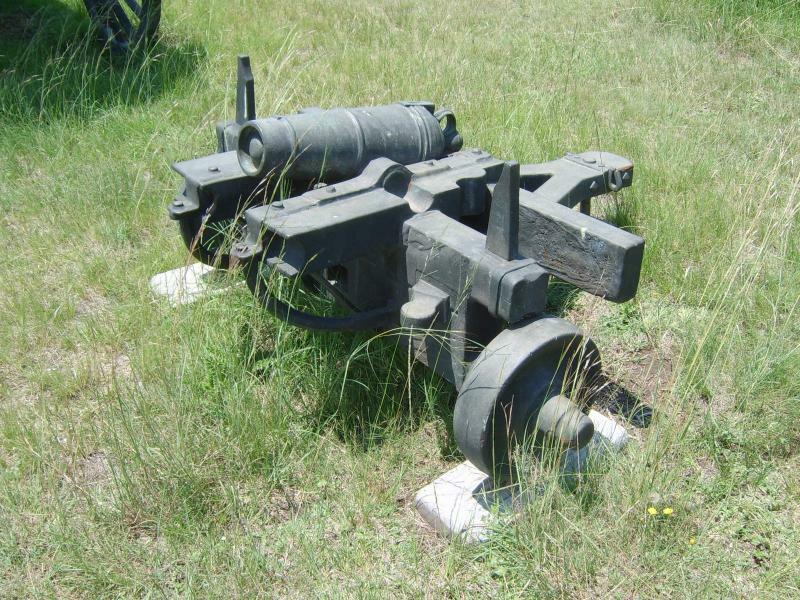 The problem for Pretorius was that he had somehow to find a way to make Dingane's soldiers attack him in a defensive laager position at a place of his choice, far away from UmGungundlovu and Italeni. 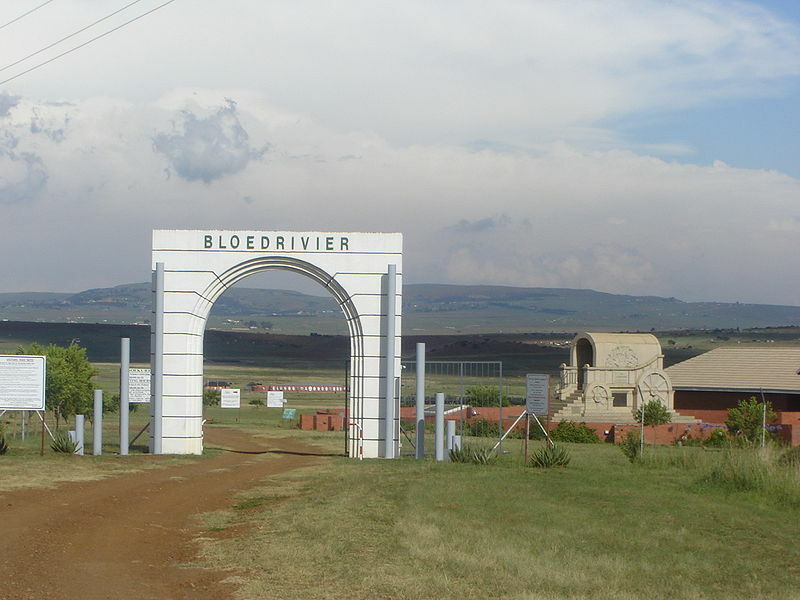 On 6 December 1838, 10 days before the Battle of Blood River, Pretorius and his commando including Alexander Biggar as translator had a meeting with friendly Zulu chiefs at Danskraal, so named for the Zulu dancing that took place in the Zulu kraal that the Trekker commando visited.With the intelligence received at Danskraal, Pretorius became confident enough to propose a vow, which demanded the celebration, by the commando and their posterity, of the coming victory over Dingane. The so called covenant included that a church would be built in honour of God, should the commando somehow be successful and reach UmGungundlovu alive in order to diminish the power of Dingane. Building a church in Trekker emigrant context was symbol for establishing a settled state, like the Republic of Natalia, which was established during 1840, when the Dingane-Retief treaty was implemented under king Mpande.After the meeting with friendly Zulu chiefs at Danskraal, Pretorius let the commando relax and do their washing for a few days at Wasbank till 9 December 1838. 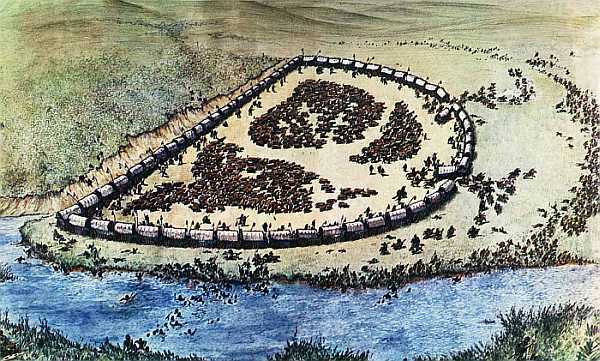 From Wasbank they slowly and daily moved closer to the site of the Battle of Blood River, practicing laager defence tactics every evening for a week long. 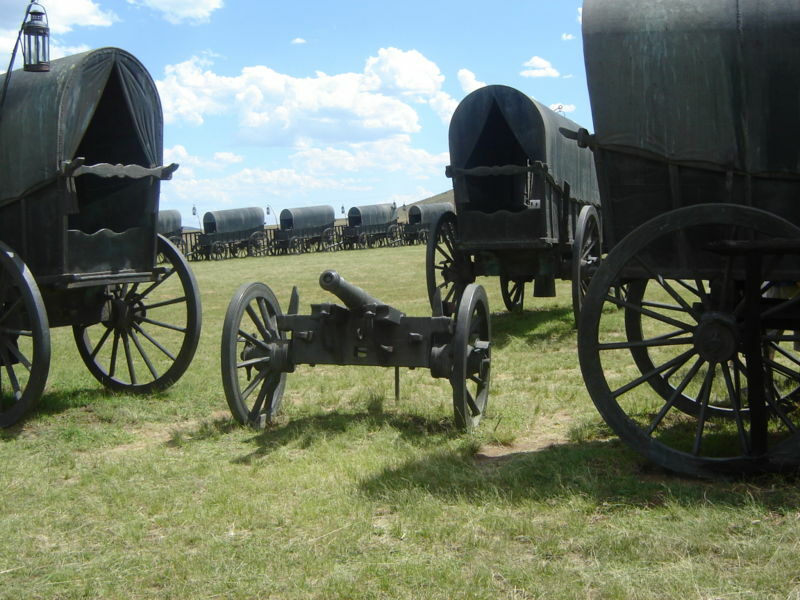 Then, by halting his advance towards UmGungundlovu on 15 December 1838, 40 km before reaching the defile at Italeni, Pretorius had eliminated the Italeni terrain trap. On 15 December 1838, after the Trekker wagons crossed the Buffalo River, 50 kilometres (31 mi) away from their target UmGungundlovu via the risky Italeni access route, an advance scouting party including Pretorius brought news of large Zulu forces arriving nearby. 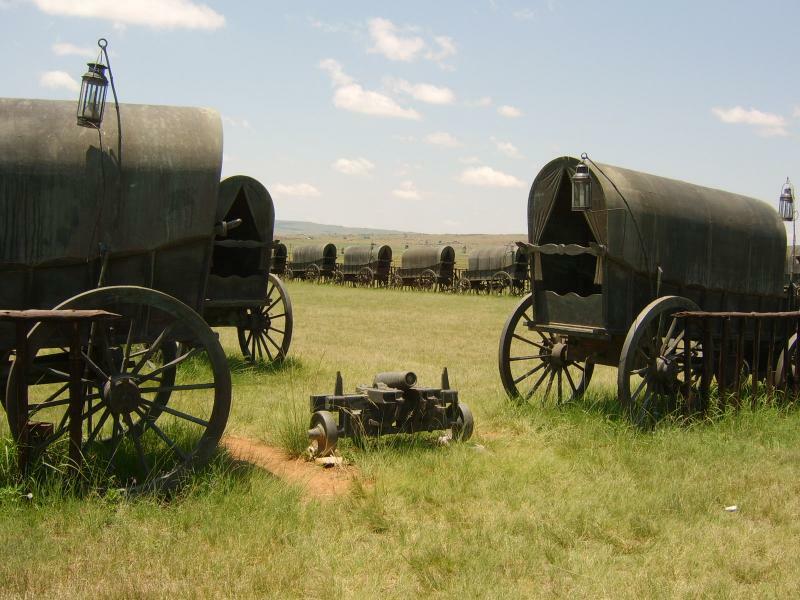 While Cilliers wanted to ride out in attack, Pretorius declined the opportunity to engage Dingane's soldiers far away from their base and Italeni. 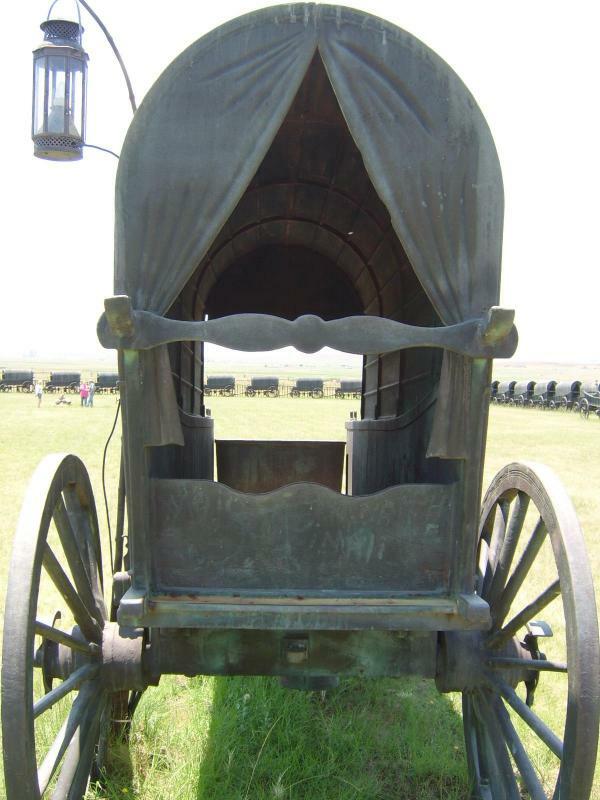 Instead Pretorius built a fortified Wagon Laager on terrain of his own choosing, in the hope that general Ndlela would attack it like Veglaer. 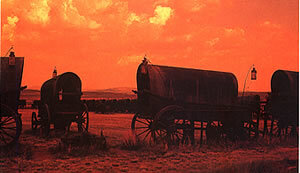 Mist settled over the wagon site that evening. 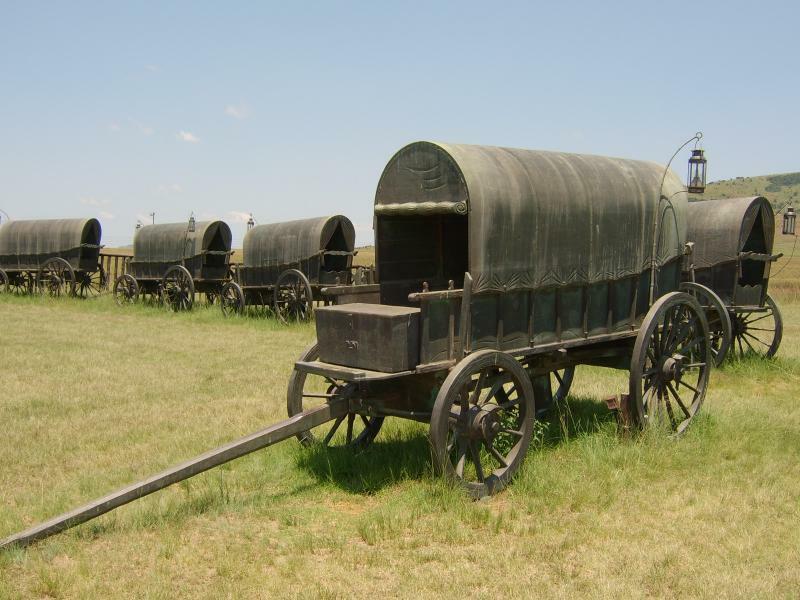 According to Afrikaner traditions, the Zulu were afraid to attack in the night due to superstitions about the lamps which the Boers hung on sjamboks whip-stocks around the laager.Whether or not there is any truth in this, historian S.P. 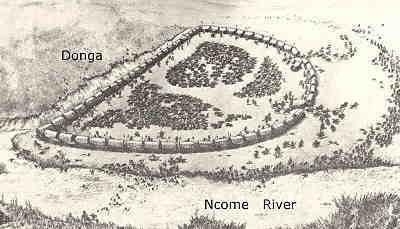 Mackenzie has speculated that the Zulu held back until what they perceived as the necessary numbers had arrived.During the night of 15 December, 6 Zulu regiments or 6,000 Zulu soldiers led by Dambuza (Nzobo) crossed the Ncome river and started massing around the encampment, while the elite forces of senior general Ndlela did not cross the river. 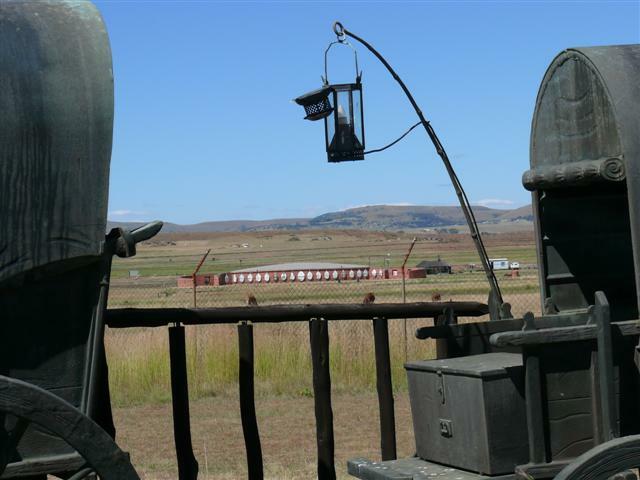 Ndlela thereby split Dingane's army in two.On 16 December, dawn broke on a clear day, revealing that , all of Zululand sat there and said one Trekker eyewitness. But General Ndlela and his crack troops, the Black and White Shields, remained on the other side of the river, observing Dambuza's men at the laager from a safe position across the hippo pool. This could explain why Dambuza's forces were sitting on the ground close to the wagon laager when the Trekkers opened fire during the day.Only Dambuza's regiments repeatedly stormed the laager unsuccessfully. The attackers were hindered by a change introduced during Shaka's rule that replaced most of the longer throwing spears with short stabbing spears. 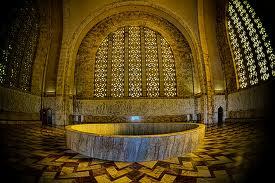 In close combat the stabbing spear provided obvious advantages over its longer cousin. 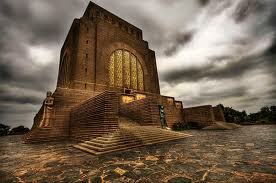 A Zulu eyewitness said that their first charge was mown down like grass by the single-shot Boer muskets. 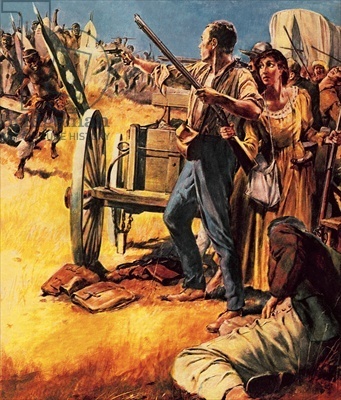 The Trekkers brought to bear their full firepower by having their women, children and servants reload other muskets, allowing a single shooter and a band of servants to fire a shot approximately every 5 seconds. Buckshot was used to maximise casualties. Mackenzie claims that 200 indigenous servants looked after the horses and cattle and helped load muskets but no definite proof or witness of servants helping to reload is available. 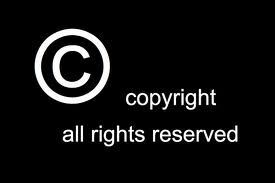 Writing in the popular Afrikaans magazine, Die Huisgenoot, a Dr. D.J. 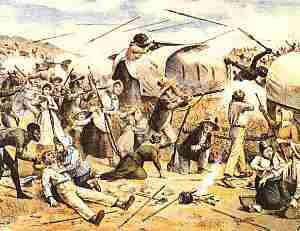 Kotze said that this group consisted of 59 "non-white" helpers and three English settlers with their black "followers".After two hours and four waves of attack, with the intermittent lulls providing crucial reloading and resting opportunities for the Trekkers, Pretorius ordered a group of horsemen to leave the encampment and engage the Zulu in order to disintegrate their formations. The Zulu withstood the charge for some time, but rapid losses led them to scatter.The Trekkers pursued their fleeing enemies and hunted them down for three hours. Cilliers noted later that "we left the Kafirs lying on the ground as thick almost as pumpkins upon the field that has borne a plentiful crop." 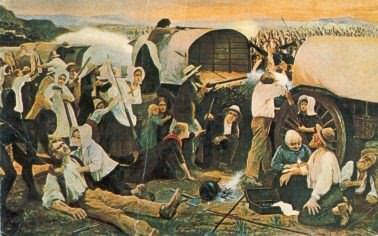 Bantjes recorded that about 3,000 dead Zulu had been counted, and three Trekkers were wounded. During the chase, Pretorius was wounded in his left hand by an assegaai ,Zulu spear.Of the 3,000 dead Zulus, two were princes, leaving Ndlela's favourite prince Mpande as frontrunner in the subsequent battle for the Zulu crown.Four days after the Battle of Blood River, the Trekker commando arrived at Dingane's great kraal Mgungundlovu near present day Eshowe, only to find it deserted and ablaze. 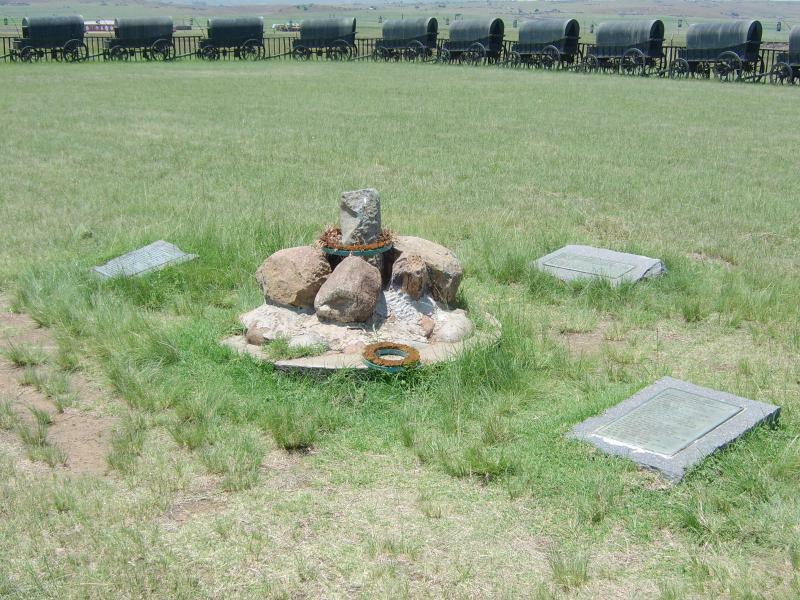 The bones of Retief and his men were found and buried where a memorial stands today.Afterwards the clash was commemorated as having occurred at Blood River (Bloedrivier). 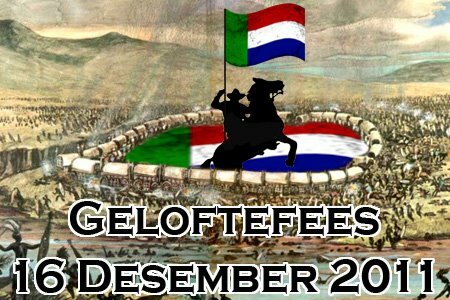 16 December is a public holiday in South Africa;before 1994 it was known as "the Day of the Vow", "the Day of the Covenant" and "Dingaan's Day"; but today it is "the Day of Reconciliation". With UmGungundlovu as Dingane's political power base destroyed, and Dingane's military might weakened due to the disastrous Battle of Blood River, prince Mpande openly joined into the military alliance with Pretorius. 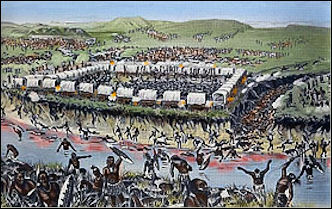 The Zulu civil war erupted into the open.Following Battle of Maqongqe in January 1840, the forces of Mpande did not wait for Pretorius' cavalry to arrive, and attacked the remaining regiments of Dingane, who were again under the command of general Ndlela, as at the previous Battle of Blood River.Again Dingane's general Ndlela strayed from normal fighting tactics against Mpande, sending in his regiments to fight one at time, instead of together in ox horn formation. 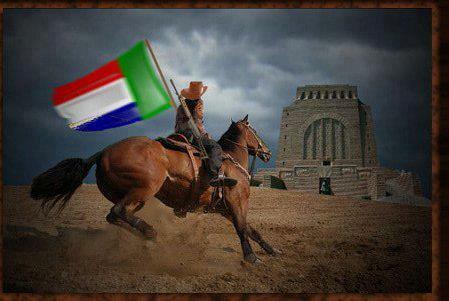 After Maquongqe Dingane had to flee Natal completely, but before he did so, he had general Ndlela slowly strangled by cow hide for high treason, on the grounds that he had fought for, instead of against Mpande, with the same disastrous result for Dingane as at Ncome-Blood River.Afterwards Pretorius approved and attended the crowning of Zulu king Mpande in Pietermaritzburg. They agreed on the Tugela river as the border between Zululand and the Republic of Natalia.Thanks to general Ndlela ka Sompisi, king Mpande became the founder of the contemporary Zulu dynasty to this day. The dynasty was meant to end the unstable transfer of ruling Zulu power via the assassinations of kings and the purging of princes, which Ndlela himself had experienced, whilst serving in the highest positions in both the Shaka and Dingane regimes. 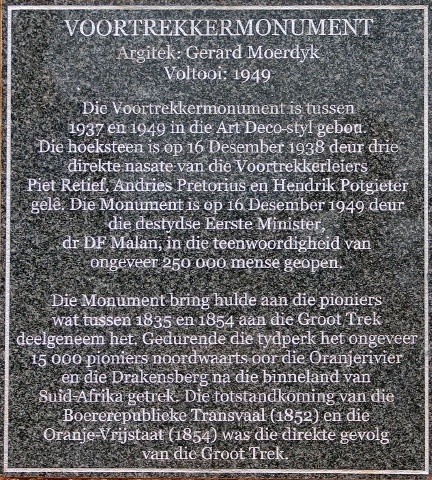 A church, called "the Church of the Vow", was built in the Natal town of Pietermaritzburg in 1841, where Pretorius settled on the farm "Welverdient" (English: "Rightly earned"), a gift from the Trekkers.A monument was erected on the site of the battle in 1947, consisting of an ox wagon executed in granite by the sculptor Coert Steynberg. 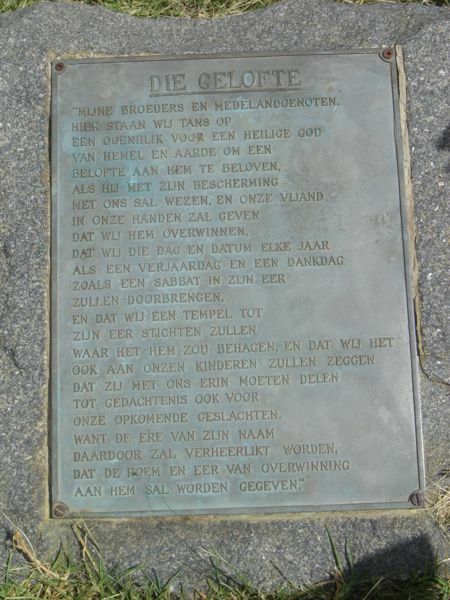 In 1971 a laager of 64 ox wagons cast in bronze (by Unifront Foundry in Edenvale , Fanie de Klerk and Jack Cowlard) was erected, and unveiled on 16 December 1998.